As a homeowner, it is highly likely that you have pondered many different ways to improve the quality and looks of your home. Well, there really is no better way to do just this than by taking advantage of exposed aggregate. Exposing the aggregate in your driveway or patio will provide you with an all-natural rock feel. In addition to this, it is just as durable as concrete and has the properties that allow it to stand up to the test of time. So, what exactly is exposed aggregate and how is it installed and created? 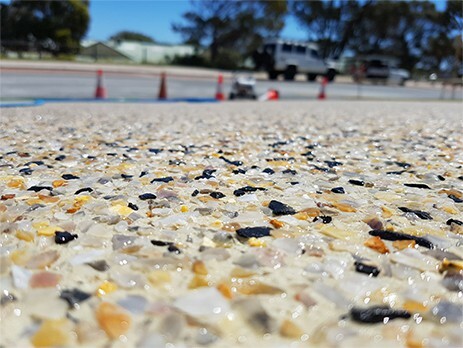 Exposed aggregate is the process of exposing the top layer of the stone in the concrete, while making sure that the rest remain permanently embedded within the concrete. Once concrete has been poured and is still fresh, the decorative aggregate will be ready to be exposed. There are a variety of different methods and techniques in which the aggregate can be exposed. The method and technique of choice really depends on the desired look and the size of the project. The most common method is installing a pre mixed aggregate concrete. The supplier will deliver this to site on there truck ready to install. We always use this method as it is the most consistent and fastest way to install exposed aggregate in Perth. If you are looking for a simple approach that has been proven effective time and time again, you have to consider the brushing and washing method. These methods are without a doubt the oldest and simplest method available. What really makes it simple is that the process does not require any chemical retarders or special tools. All you have to do is take a water hose, spray the freshly poured concrete, while scrubbing it with a broom until you reach the desired exposure of depth. However, when it comes to applying this method, timing is crucial. The best time to begin applying this method is when the concrete has dried enough, so that you can remove the surface mortar without overexposing or dislodging the aggregate. Since the timing is so crucial, this method usually works best on smaller jobs such as a small footpath. The best way to test for correct timing is by lightly brushing away the surface mortar in a small area with a stiff nylon-bristle broom and see what happens. 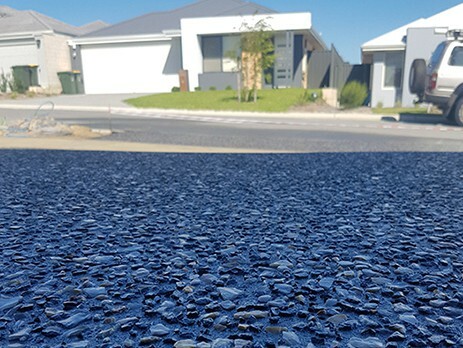 In today’s busy and fast-passed concrete industry, most contractors expose aggregate by spraying a chemical surface retarder onto the slab on concrete and driveways. This chemical is usually sprayed on the concrete immediately after it has been placed and finished. Basically, what this does is it delays the set time of the concrete and gives the contractor enough flexibility to finish the project a day or so later. After the chemical has been applied and the contractor comes back a day or so later he or she will either scrub or pressure wash the surface. This causes the aggregate to become exposed. This method has grown extremely popular over the years due to the flexibility that the chemical retarder provides contractors. Flexibility can be extremely important, when it comes to working on larger job or when pouring concrete during extremely hot weather conditions.